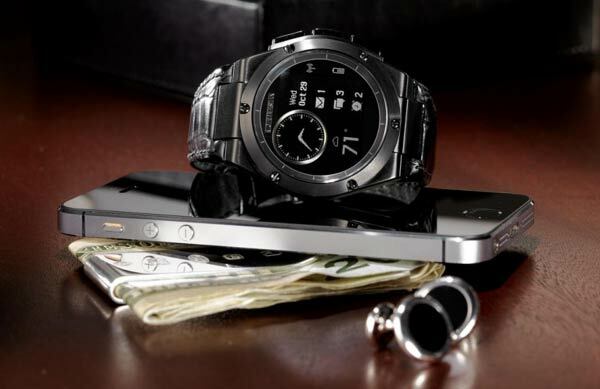 We first reported HP’s intention to hop on the smartwatch bandwagon back in August. 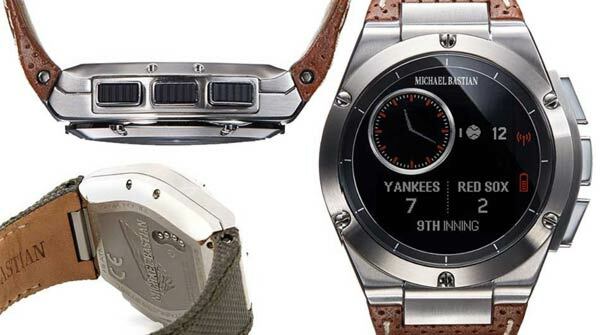 The computer giant was looking to create a high-fashion timepiece with designer Michael Bastian (MB) and in partnership with online clothing retailer Gilt. The device has finally been officially unveiled, it’s called the MB Chronowing. It is evident that the smartwatch’s priority was to focus on keeping the classic design of watches instead of sporting a futuristic touchscreen, as the device is similar to classic chronometer designs which have been seen in popular watch brands like Tag Heuer, Gucci andNautica. The 44mm stainless steel smartwatch will come packed with smart features engineered by HP such as email, text and app notifications, as well as basic real-time alerts on sports, weather and stock market updates. MC Chronowing is a water-resistant device with a non-touch LCD monochrome display, with updates, alerts and the clock hands being digital. The watch displays the current weather on the bottom left side as well as current temperature as default, and comes with three buttons on the side for controlling music, flipping through menus and activating the backlit screen. The device is available with three interchangeable straps: leather, rubber and nylon, and claims of battery life of up to seven days with one charge. However, with no activity tracking on board, the battery life seems a little disappointing. The smartwatch can be controlled via an app available for Android devices at version 4.3 and higher, and iOS devices including the iPhone 4S and higher. Only 300 units of the MB Chronowing are to become available, exclusively through Gilt from 7th November. The MB Chronowing comes in two editions; the standard smartwatch will cost $349 and a limited edition one with a sapphire crystal glass face and an alligator strap will set you back $649.